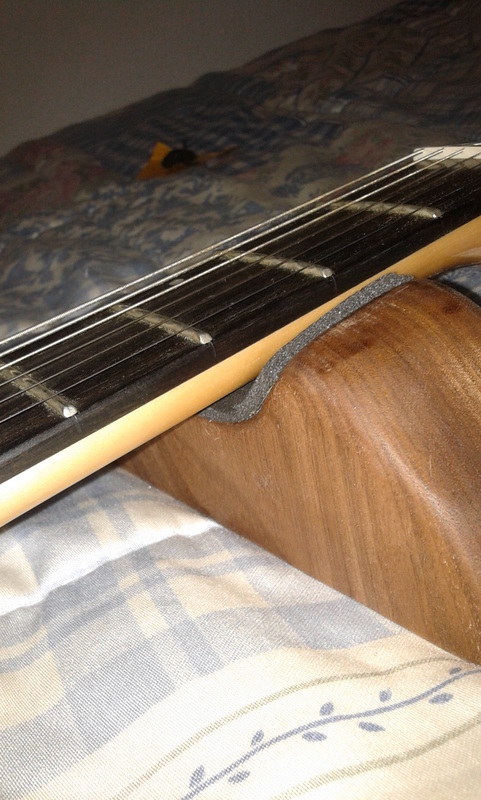 I do have a neck caul support that i bough when i had to hammer the frets on the first guitar build, so i decided to build a neck support for when doing the setup. Used walnut wood for the support, the area where the neck rests was removed with chisel, that proved to be the most easy way to remove the wood, rasps and orbital sander did the rest off the carving on the wood. Used self adhesive foam to protect the neck. True-Oil was applied to the wood.